SacLatino.com: Poll of Latino California Voters Shows U.S. Senate Race "Wide Open"
Poll of Latino California Voters Shows U.S. Senate Race "Wide Open"
California’s Latino voters favor former Los Angeles Mayor Antonio Villaraigosa over Attorney General Kamala Harris in the race for the U.S. Senate, with other Latino and non-Latino candidates trailing far behind, according to a new poll conducted for the California Majority Report by Bendixen and Amandi International, a Miami-based polling firm specializing in the Latino electorate. 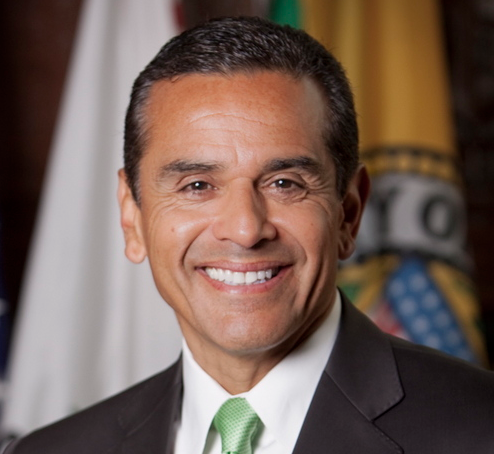 Villaraigosa captured 23 percent of the vote among the likely Latino voters polled. Harris was second with 15 percent, trailed by Democratic Congresswoman Loretta Sanchez (11%), Democratic Congressman Xavier Becerra (8%), Republican Assemblyman Rocky Chavez (3%), and Fresno Republican Mayor Ashley Swearengin (2%). Democratic Congressman Adam Schiff, former Republican Party chairman Duf Sundheim and Tom Del Beccarro each received one percent. Thirty-five percent of Latino voters were undecided about their candidate. In a head-to-head matchup with Harris (which could occur if both emerge from a June 2016 primary), Villaraigosa leads 44-29%. Some 27% of the voters are undecided. In addition, 59% of voters said they could change their mind by the June 2016 election with only 38% firm in their decision. Fifty-six percent of Harris voters said they could change their minds, while 51% of Villaraigosa voters said the same. Latino voters gave Villaraigosa the highest favorability ratings in the poll, with 55% saying they had positive feelings about him. Sanchez was second (48%) and Becerra third at 33%. Harris trailed with 32%. All other candidates were largely unknown, with positive ratings of less than 20%. Villaraigosa led Harris in all regions of the state. His strongest area was the Latino voter-rich Central Valley, where he leads Harris 50-22%. He also bested Harris in her home turf, with a 40-35% edge in northern California. The poll also showed significant differences among the Latino electorate in support for the candidates. Latino voters born in Mexico favored Villaraigosa over Harris by a 60-20% margin. Those born in the U.S. backed Villaraigosa by a narrower 37-31% margin. Among those who choose Spanish as their language of preference, Villaraigosa led Harris 58-23%. Among those with a preference for English, he led the Attorney General by a 39-31% margin. Asked for the reasons for supporting the candidates, Latino voters cited Villaraigosa for his qualifications and experience (40%) while 24% noted that his ethnic background made him their choice. Latino voters indicated they will be a significant voting bloc in the U.S. Senate race, with 80 percent saying they will “definitely” vote. Some 82 percent say they have either “a lot” or “some” interest in the contest. Another interesting finding: 13% said the main reason they will vote is having the opportunity to elect the first Latino from California to the U.S. Senate. Jobs and the economy is the top issue of concern to likely Latino voters (29%) with public education (20%) and illegal immigration (16%) also frequently mentioned. Lt. Gov. Gavin Newsom has a 25-14% positive rating but 50 percent of the Latino voters did not recognize his name; Treasurer John Chiang had a 22-8% positive rating but is unknown by 57% of likely Latino voters. The poll was conducted January 30-February 2, 2015 among 600 likely Latino voters in the state in English and Spanish. The margin of error is +/- 4 percent.